Reactions can vary a lot with age and personality, but what’s important is to communicate as a family unit, providing reassurance where needed. Talk to your children early about the move, allowing them to adjust to the idea and discuss any concerns they may have. It’s important to acknowledge the significance of the move and help them understand the reasons behind it. Don’t forget to allow time to say goodbye to your current home. You could plan a going away party for your kids and their friends – or spend a day visiting your favourite places before you leave. This will help provide closure before the big day, so that you can move on and focus on the future. Every cloud has a silver lining, and although moving might seem like a looming dark sky to younger family members, don’t forget to remind them that with change comes a fresh start. Try to get your kids excited about new, exciting activities and making new friends in the place you are moving to. This is especially relevant if your child has experienced bullying or had difficulty fitting in where you currently live. New schools and friends present the opportunity for your child to be themselves from the get-go, and find a new, better social group from day one. Help ease anxiety surrounding the move by getting each family member involved in packing their own possessions. Regardless of how small or insignificant it can seem to an adult, even letting your children make small decisions about what to take with them can help them feel in control and a part of the move. Younger children may become distressed seeing all their toys and possessions being taken away – so make sure to explain to them that they are just being moved to their new bedroom. When packing your survival bags for the move, ask your kids to pack their three desert island essentials to keep them entertained on the journey or while they await the delivery of the rest of their belongings. When you finally arrive at your destination – most likely after a very long journey – you can breathe a sigh of relief. Most expats have to wait a little while for their possessions to be shipped to their new country of residence. Catch up on some sleep, take some time to relax and explore your new surroundings. 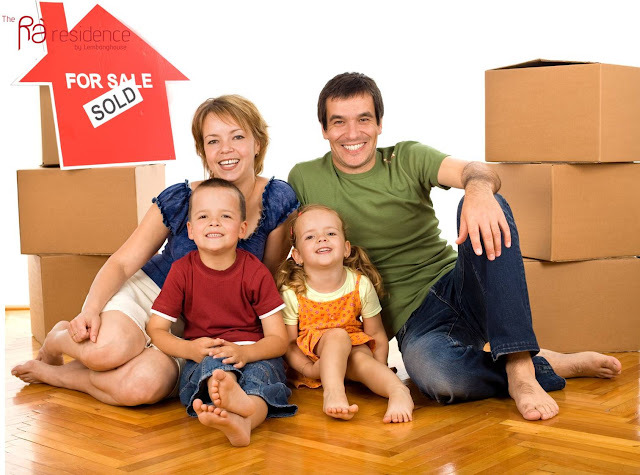 You can now concentrate on making your new house a home and settling back into family life. You’ll need your energy for when your belongings arrive, so it’s a good idea to get the children’s rooms sorted first. Ensure that you fill the rooms with familiar things to make them feel more secure in their new environment. Get older children and teenagers involved in unpacking their things. By allowing them to decide where their belongings go and decorate their own room, this can help build excitement and feelings of positivity about being in a new place. Amid all the chaos of the move, you can bring a little normality back to life by sticking to traditions and routines from your old house. Sit down for Sunday lunch or take the dog out for a walk with the kids after work. Routines like this can help your family quickly settle into their new surroundings. Source: Removal Services Scotland, Ultimate Family Moving Guide. This ebook includes detailed advice for all of the family during the transitional phase of moving abroad.